You are guaranteed to get a great holiday experience visiting the Aqaba Marine Park. Visiting this park, you and your companions will witness the ideal preservation of coastal resources. This beachside park is not a mere spot of public outing but the authority of the park keeps on organizing events to spread awareness about the preservation of the marine life here. The beachside of the park is clean and you can spot suitable campgrounds here too. The park authority has attached many sun shades and toilets to the whole for the comfort of the visitors. To get any kind of help and information while enjoying in Aqaba Marine Park, you can visit any of the visitors’ kiosks that are located on the beachside. 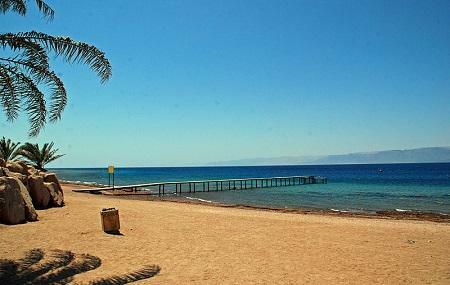 How popular is Aqaba Marine Park? People normally club together Sharif Hussein Bin Ali and Petra while planning their visit to Aqaba Marine Park.